The debate about girls' fascination with pink being natural and inborn, or being a result of commercialism and advertising, won't be solved any time soon. But we know for a fact that many young girls are just tickled pink. When it comes time to throwing that girlie-girl a birthday party bash, More Than Paper has you covered with great items from which to choose. 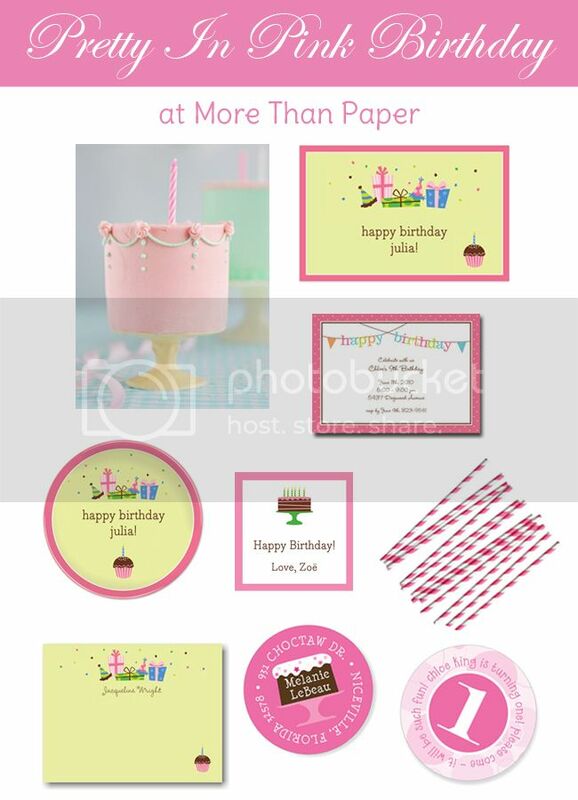 From invitations, placemats, bowls and plates, party favor stickers, address labels, and thank you notes, we have what you need for a pink birthday celebration. From top to bottom, left to right find the above items by clicking below! Disposable Birthday Party Placemats by Boatman Geller, 25 per set! Share your birthday party ideas with us on Facebook or here on our blog!